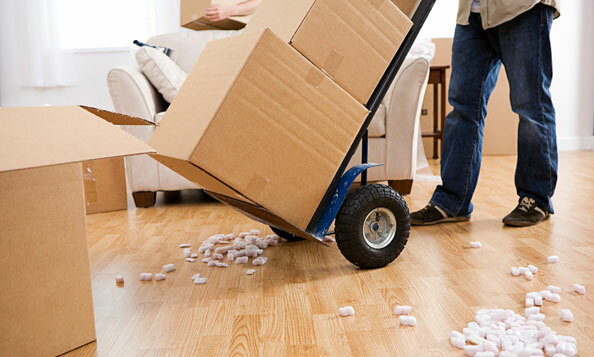 The BEST Tips for Moving Home! Do not forget to inform your bank, insurance company, building society, credit card company, or any other places where you have a direct debit set up. Remember to tell the TV licensing company, Inland Revenue, DVLA, and any other important company that will need to know your new address. Changing your address on frequently used websites, such as online supermarkets and grocery shops, will save you time and prevent you from accidentally sending packages to your old address. Send a quick and easy email to friends and family about your move alongside your new address. Organising your utilities to be switched off on the day that you move out will significantly reduce the stresses of your move, allowing you to simply re-connect your utilities at your new home. Do not forget your internet and phone services. Ensuring that they are transferred and set up in your new home will relieve some stress and provide you with entertainment. Don’t forget about your loft or attic space. Some of us don’t have loft conversions and will easily forget that there are items stored in the loft. There’s probably a lot of old items that can be taken to the dump, so try to be honest with yourself and only pack what you know you need. It is a good idea to find out when your rubbish and recycling days are in advance. Contacting the local council of your new neighbourhood is the easiest way to obtain this information. Ensure that your new home is given a thorough clean before you move in. There are some removal firms out there that provide a cleaning service and will handle this task for you. They can also arrange to clean your existing home to provide the new residents with a clean living environment upon moving in. If you have young children, ensure that their schools are aware well in advance if they need to take a day off. Also, contact a sitter in advance for any young children or pets that need taking care of during busy times. If you take medicines regularly, ensure that you visit your doctor to acquire a supply to keep you going until you find a new doctor. Ensure any Sat-Nav’s or mobile phones are fully charged for when you navigate the removal company to your new home. The last thing you need is to get lost on your way there. It could be helpful for you to ask the estate agent if the seller can provide a list of recommended local services such as a plumber, electrician, or any other companies that may come in handy after you have moved in. A reliable and trustworthy removals company will become your new best friend during the difficult moving day experiences. Get in touch with one today to find out everything you need to know. What should you consider before hiring move out and move in cleaning service? Trendy Kitchen Renovations To Opt For This Year! How do Other Forms of Architecture Differ from Commercial Architecture?